Back in June of 2015, Volkswagen dropped news of the Volkswagen Golf TCR that was basically a 2013 Seat Leon Cup Racer with a Golf body. That car was a concept that was designed to see how the gold could stand up in racing events. Its final testing was completed by Liqui Moly Team Engstler, which led to a win at the Red Bull Ring in Austria in 2015. With that initial testing Volkswagen was able to add the finishing touches to its customer-focused race car, and now we’re graced with this – the 2016 Volkswagen Golf GTI TCR. 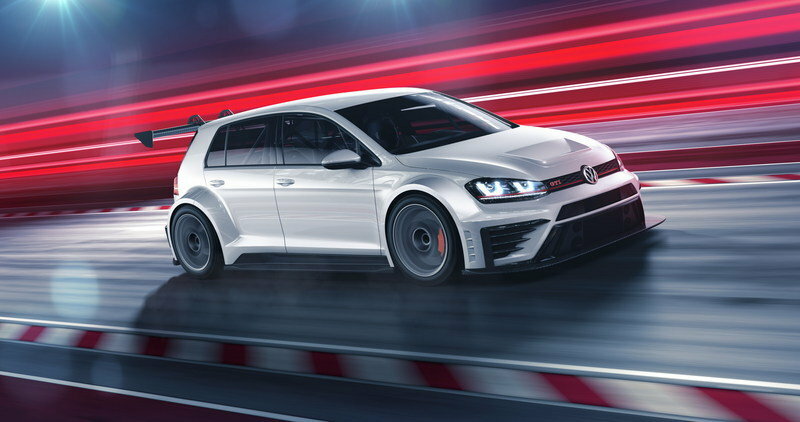 You’ll notice a striking resemblance to the Golf GTR concept that proved itself at the Red Bull Ring, but the finalized product is a little more refined and sports its own subtle little differences. It still boasts a rather powerful four-cylinder engine and still has the blood of the Seat Leon Cup Racer flowing through veins, but this car will surely find itself right at home at the track, just as the Golf TCR did last year, and the Seat Leon Cup Racer has for the past few. This car is an exciting development, and if you’ve had a chance to drive the 2016 Volkswagen Golf GTI Clubsport or the lesser 2016 Volkswagen Golf GTI, you already know why. 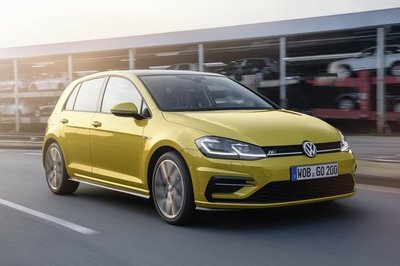 The road going variants of the Golf are responsive and handle quite well, which is why the Golf – at least in some form – deserves a place on the track. There’s just something about a hatchback racer that works, and this Golf GTI TCR is no exception. Keep reading to find out more about Volkswagen’s new race car. In comparison to the Golf TCR, the GTI TCR has a few more aerodynamic qualities and some minor changes. Up front, the top and outboard side of the corner vents on the fascia have a large black insert. Three horizontal louvers run across each vent. Down below a small spoiler wraps around the fascia and a horizontal louver now runs across the large air dam toward the top. The same headlights from the Golf TCR carried over to this model, but a red, horizontal stripe runs from the inboard point to the outer edge of the headlight. The circular VW emblem is backed by a honeycomb grille between the headlights with a red horizontal stripe creating a link between the headlights and a red GTI emblem on the passenger side. It looks like the same hood carries over from the GTR, which was already perfect to begin with, so no complaints there. 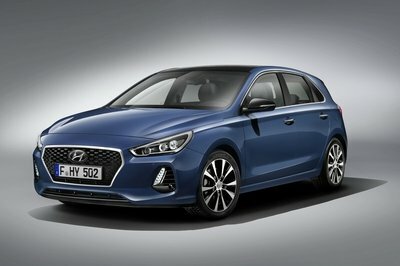 To the sides that wide body kit provides for the necessary wheel arch extensions over the wheels, allowing the use of much wider wheels and tires compared to the road-going Golf. The side skirts are non-dramatic units, designed solely with aerodynamics in mind. A mild body line connects the front and rear wheel arches, and the mirrors are two tone, with the housing painted in the same finish as the body and the connecting arms painted black. To the rear, we see the same large, downforce-producing spoiler mounted to the rear hatch. The same taillight units carry over from the Golf TCR, but a red “GTI” badge has been placed on the driver side of the hatch. That large black cladding runs along the rear fascia, curling at the end and doubling back toward the rear diffuser. Reflectors are now positioned along the lower extension of that cladding. The rear diffuser on the GTI TCR is smooth and doesn’t have the vertical fins seen on the TCR from last year. A single exhaust outlet sits at each end of the diffuser. Altogether, this Golf GTI TCR looks ready for the track, and, to be honest, the aerodynamic design is mild enough that I could even stomach driving it on the street. It would be a little extreme for a daily driver, but it would certainly be nice to look out the office window and see this baby in the parking lot, wouldn’t it? Volkswagen didn’t release any images of the interior for the Golf GTI TCR, but you can bet that it doesn’t vary much from the Golf TCR that we saw last year. In the press release associated with this car, VW said to expect a racing seat with head protectors, racing safety cage, and an FIA-approved safety tank. If we look at the picture provided with the Golf TCR last year, we get a glimpse of what the interior looks like. The dashboard, for the most part remains, as do the door trim panels, but expect the rest of the car to be gutted to make way for the roll cage. The steering while should be removable, and I expect to see a driver drink system as well as the same 14.5-gallon fuel tank from the A3 Quattro that allows for the straight exhaust exits in the rear. The Golf GTI TCR can hit the 62 mph sprint in 5.2 seconds with a top speed of 143 mph. The Golf GTI TCR rides on VW’s MQB platform and is powered by a turbocharged 2.0-liter inline-four that produces 330 horsepower and 302 pound-feet of torque. For comparison purposes, that is 65 horsepower more than the Volkswagen Gold GTI Clubsport. The engine has direct fuel injection and is an up-rated version of the engine in the Golf R.
All that power is sent to the front wheels via multi-disk sintered clutch, and a six-speed sequential racing transmission that is shifted by paddles located behind the steering wheel. According to VW, the Golf GTI TCR can hit the 62 mph sprint in 5.2 seconds with a top speed of 143 mph. Volkswagen has yet to drop pricing for its new race car, but Expect it to be priced significantly higher than road-going models. I would expect to see a price tag in at least the $70,000 bracket, if not a little higher. Then again, that is a rough estimate, and I may be way off. We’ll update pricing information as soon as we get it, so check back again soon. TCR International Racing is so dominated by VAG that most of the competition comes with similar German Engineering. 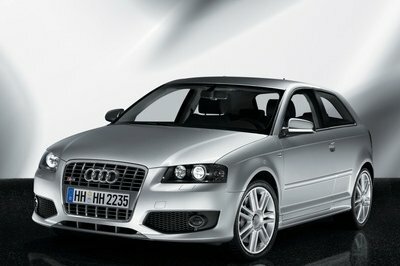 Models like the Seat Leon and Audi TT are the main competition, but there are a few other models out there. 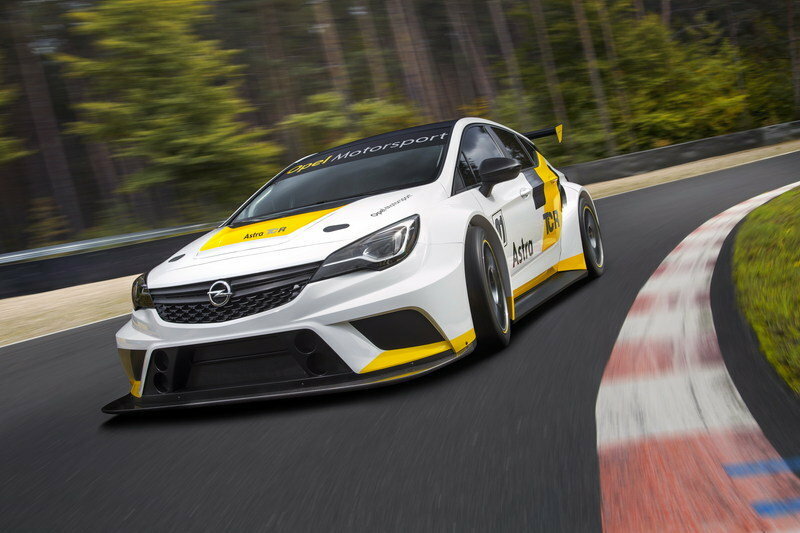 One such model is the 2016 Opel Astra TCR, which debuted at the Frankfurt auto show last September. TCR regulations require no more that 2.0-liters of displacement, so as you would suspect, the Astra TCR is powered by a 2.0-liter four-cylinder. 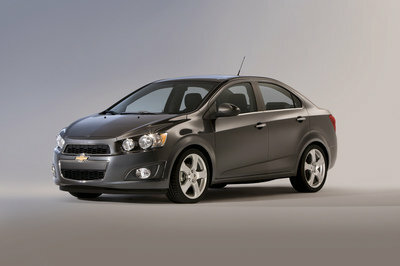 Horsepower output sits at 330 horsepower and 302 pound-feet of torque. That is identical to the Golf GTI TCR, so expect these two to have some epic battles assuming the drivers have what it takes. The last we heard, the Astra TCR was going for $128,220 plus VAT. Read our full review on the Opel Astra TCR here. In addition to competing against the Opel Astra TCR, there are a few Honda Civics and Ford Focuses that have also made their appearance in TCR in the past, so I suspect the Golf GTI TCR will likely compete against those this year as well. TCR might not have as much intensity as some, but these smaller 2.0-liter powered cars are surely fun to watch as they whip around a track. As far as the Golf GTI TCR is concerned, I’m happy to see that Golf is making its way into TCR. 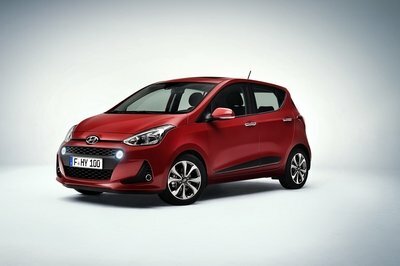 I’ve always been a fan of the little hot hatch. The base, road-going models are a little slow for my taste, but they are fun to tune and play with, if you know what you’re doing. Maybe it’s just something about German engineering, but the Golf has always been my favorite hatch, and I sure wouldn’t mind owning one of these little racers. Who knows, maybe my next project will be converting a Golf into a TCR racers. That would be a fun project. 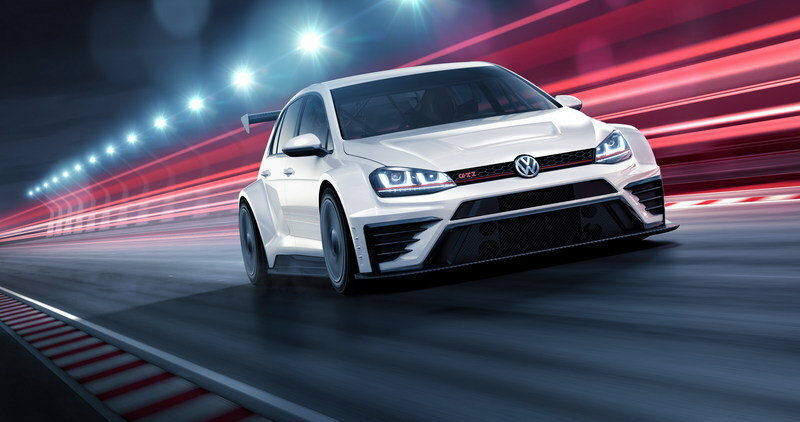 The new Volkswagen Golf GTI TCR has the seal of quality in its name: 40 years after the launch of the first Golf GTI, the customer racing version also possesses the acronym that, since 1976, has been synonymous with the Wolfsburg-based car maker’s sporting character, powerful engines and maximum performance. Since it was first unveiled in July 2015, the Golf has been hugely popular on the racetracks of this world: all the customer racing models for the 2016 season had already been snapped up by mid-January. The teams can field the 20 cars, which were developed by Volkswagen Motorsport, in up to 16 national and international TCR touring car championships. The cars for the international TCR championship in Abrera/Barcelona (E) are to be handed over to the customer racing teams from 11th March. An initial roll-out with the opposition is planned for the test drives at the Circuit Ricardo Tormo in Valencia (E) from 14th March. The acronym GTI stands for Gran Turismo Injection and is more than just a seal of quality – it is a trademark and an identity. Even to look at, the Golf makes no secret of its motor racing genes: 18-inch racing rims, a chassis that is roughly 40 centimetres wider than the production Golf, and a striking rear wing also guarantee optimal handling. An aerodynamic front splitter and carbon rear wing are among the modifications for the racetrack. Among the features that ensure maximum safety for the driver are a racing seat with head protectors, racing safety cage, and an FIA-approved safety tank. 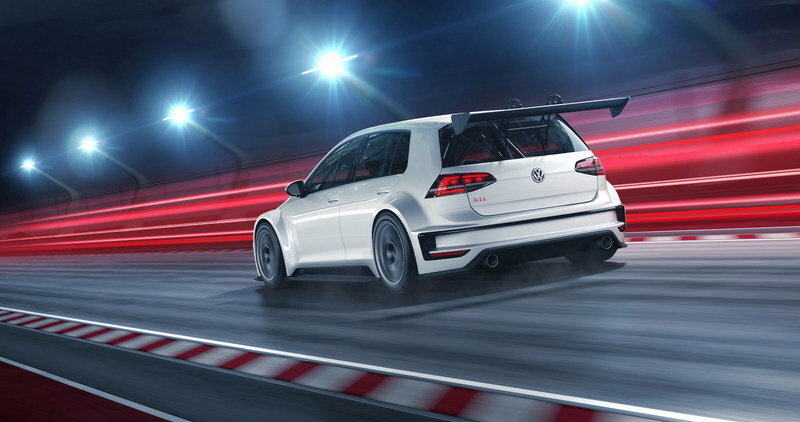 A powerful straight four-cylinder engine, a sequential gearbox with shift paddles located on the steering wheel, a consistently developed racing chassis – the new Golf has been meticulously prepared for its outings on the racetracks of this world. Volkswagen Motorsport developed the car in cooperation with the sport department at SEAT. This made it possible to call on the extensive experience gained with the SEAT Leon Cup Racer. As with the Volkswagen Group’s production cars, the MQB platform also offers many synergies when it comes to racing cars, thus reducing the costs involved in assembling and running the touring car. The 2-litre turbo engine with direct fuel injection is the same one used in the top sporting model, the Golf R. The racing version generates 243 kW (330 hp) and produces 410 Nm of torque. The racing car based on the seventh generation of Golf has already enjoyed success in competition: in 2015, cooperation partner Liqui Moly Team Engstler fielded two cars in the TCR International Series. The production-based concept car showed great potential: at its first race weekend, the Golf promptly won the second race at the Red Bull Ring in Austria. The racetrack is not the only place the Golf GTI is celebrating its 40th birthday. To mark the anniversary, Volkswagen is launching the most powerful production GTI ever: the Golf GTI Clubsport. Volkswagen presented sketches of the new car at the GTI meeting at the Wörthersee in May 2015, before unveiling a production model at the International Motor Show (IAA) in September. The 2-litre TFSI engine generates 265 hp – that is 35 hp more than the previous most powerful Golf GTI. Another feature of the turbocharged direct-injection engine is a boost function, which allows the driver to briefly increase the engine power by ten per cent to 290 hp.